So, I know what you’re thinking. “Uh, Zach? That’s a purse. A man-purse. A ‘murse’, if you will.” And while I might be tempted to respond, “Hey, there’re Skittles in there!” honestly I have to agree with you. This is a satchel, a handbag, a… purse. But the El Niño Guide Pack is truly awesome; seriously. 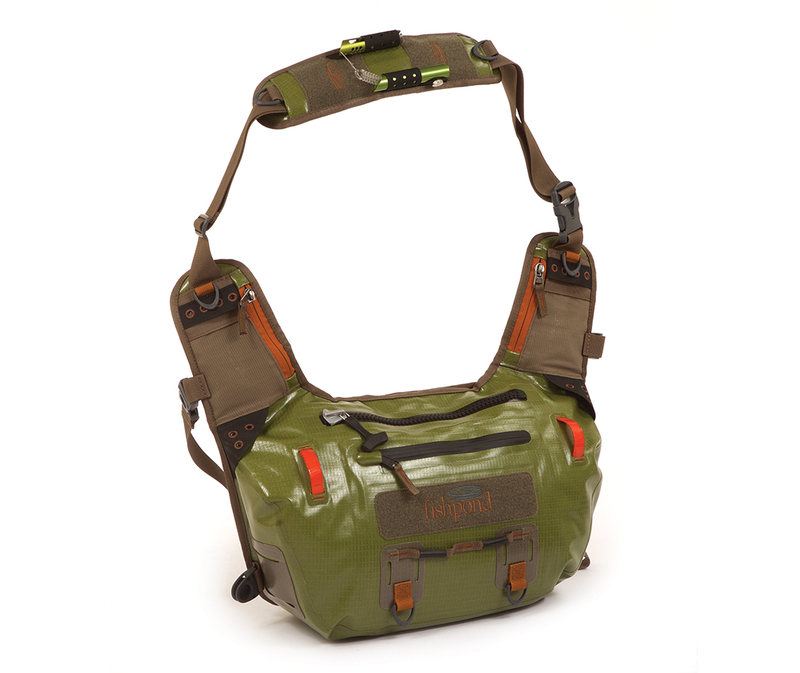 First and foremost, this isn’t quite a true sling-pack; it doesn’t resemble a hobo’s stick bag, like so many other of these products, but it does have sling-pack-like qualities, such as a set of attachment points and pouches which remain accessible in almost any configuration. The other killer app this bag offers is its net system; you simply run a long handled net through a pouch slot at the back of the bag and it stays snug and secure under any circumstance. 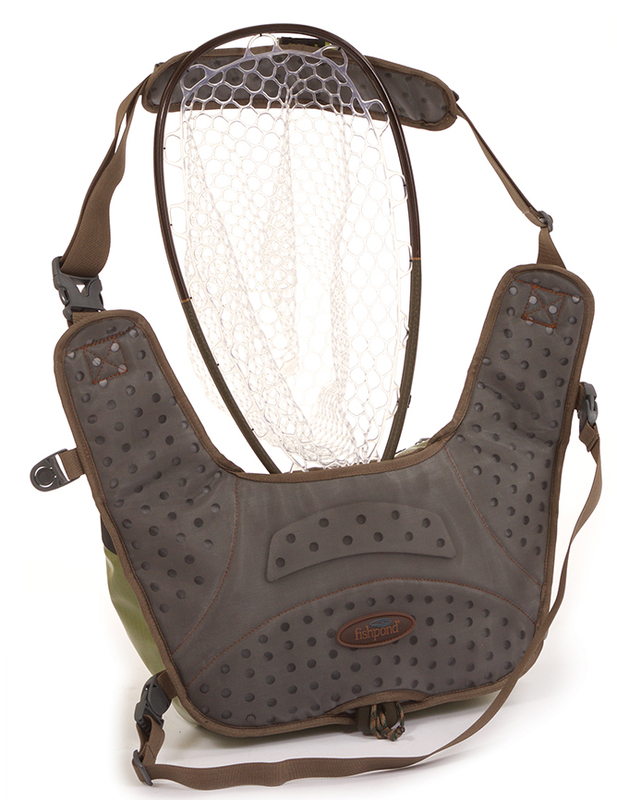 It will even accommodate fishpond’s excellent Guide Net, assuming you’re tall enough. As far as comfort goes, I recently floated an entire day in a canoe trading off between shotgunning for ducks and stripping streamers for big brown trout. (Success on the first, tantalizing failure on the second). I did not realize I had left the El Nino around my shoulders until my boatmate pointed it out about four hours into the float. It’s that comfortable. In fact it kind of just disappears back there. While unconventional, I really think Fishpond hit this one out of the park. With the addition of a simple secondary strap (which can be reconfigured for either right shoulder or left shoulder wear), this bag becomes a kind of form-fitting bike messenger bag offering tons of space, real waterproofedness, and an easy-wearing layout. Great product. And believe me, I did not expect to be saying that when I first took a look at it.